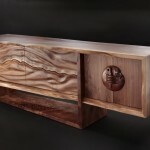 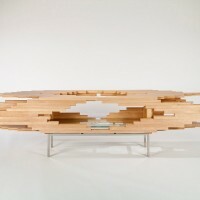 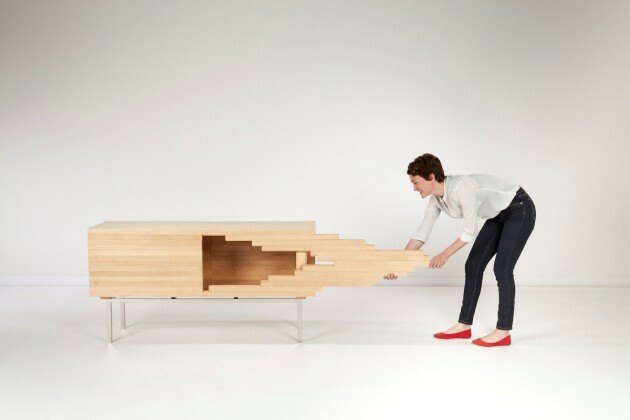 The Carnegie Museum of Art (CMOA) has acquired Explosion, a new kinetic cabinet by Sebastian Errazuriz. 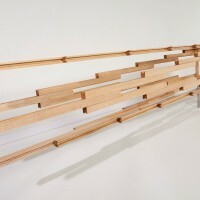 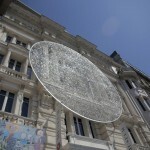 Explosion will be one of the centerpieces of the exhibition Sebastian Errazuriz: Look Again, which opens September 6th. 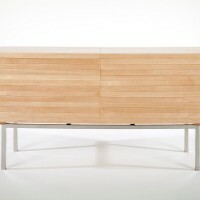 Inactivated, Explosion sits as a tidy, beautiful credenza. 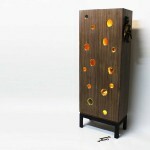 Transparent glass sidewalls provide a glimpse inside this intriguing but staid box. 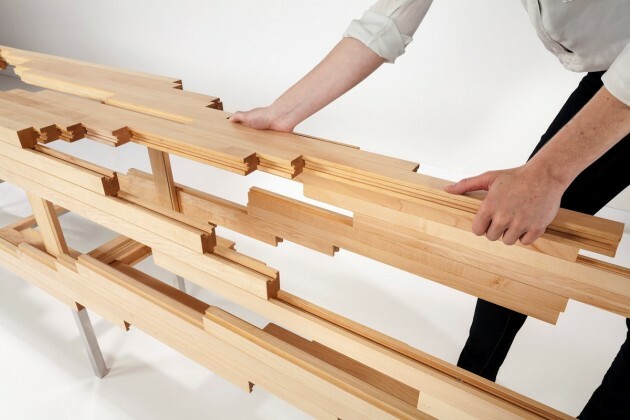 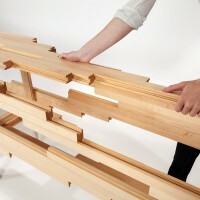 Further exploration of the central vertical seam reveals an entirely different object: With a gentle push, the rails slide further and further open until it seems that the cabinet has exploded beyond the bounds of stability. 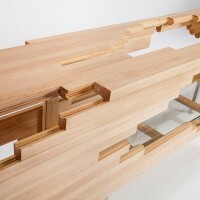 It is “a beautiful, surprising, and confounding work that represents the playful conceit of the master cabinetmaker showing off,” added Delphia. 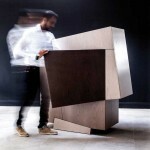 Even as Explosion’s exterior expands outward, it retains beautiful geometric proportions, using mechanics so complex that they took more than a year to perfect, despite borrowing one of cabinetmaking’s oldest tricks, the sliding dovetail. 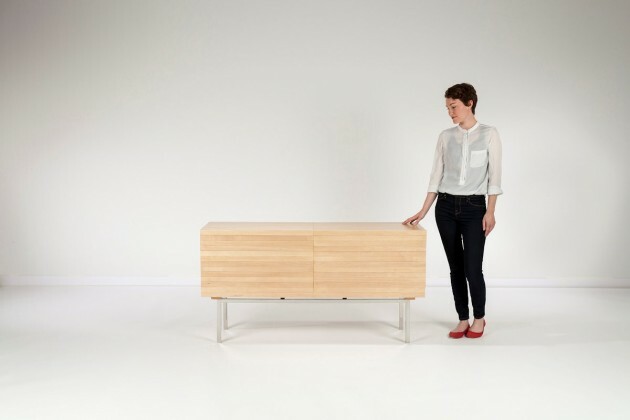 This new work will join a selection of important objects representing the breadth of Errazuriz’s practice in Sebastian Errazuriz: Look Again, his first solo museum exhibition. 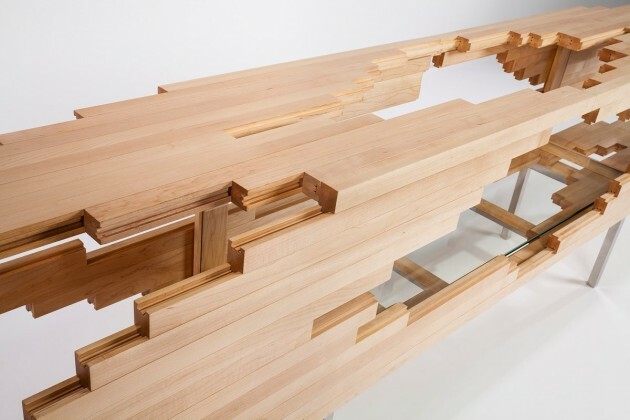 Look Again presents a rare opportunity to see the scope of Errazuriz’s work from the last 10 years, assembled together for the first time. 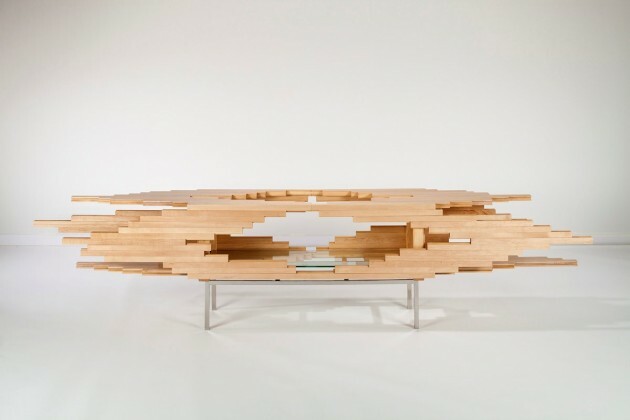 Through found and repurposed objects, unexpected interventions, and meticulously crafted interactive furniture, Errazuriz surprises, provokes, and engages at every turn, asking viewers to rethink the everyday, to confront the transience of life, and to question the status quo.